[East Asia Forum] Since 1991, comprehensive Vietnam–China relations have developed but remain constrained by the South China Sea (SCS) disputes. What makes the disputes highly relevant for future bilateral relations is that they have proven intractable, leaving the possibility of an eventual solution a matter of almost infinite uncertainty. The intractability of the disputes is rooted in their complicated nature as well as setbacks in possible settlements. First, both countries’ claims, especially those regarding the sovereignty of the Paracels and the Spratlys, are grounded in each country’s historical evidence. The assessment of the validity of this evidence is both complicated and painful, but it is not impossible if both sides submit themselves to a jointly agreed competent arbitration authority. 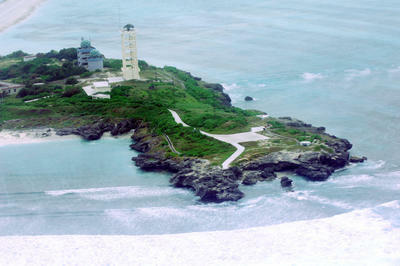 However, China has always refused to seek international arbitration regarding its SCS disputes, precluding an important option for permanently solving the disputes peacefully. Second, international legal rules governing the arbitration of maritime claims in the case of the SCS disputes are controversial and not well-defined. This is due to the different views on the status of features forming the two archipelagos and their maritime entitlements. In its joint submission with Malaysia to the Commission on the Limits of the Continental Shelf in early May 2009, Vietnam implicitly held the position that features in the two archipelagos do not qualify as islands, thus having no exclusive economic zone (EEZ) and continental shelf of their own. But in its Note Verbale to the UN Secretary General protesting the joint submission, China held the position that at least a number of features in the SCS are qualified as islands and entitled to their own territorial sea, EEZ and continental shelf. These differing views can be settled by an arbitrational process. But as the judgments offered by such a process are likely to be based on the interpretation of Article 121 of the UN Convention on the Law of the Sea (UNCLOS), rather than concrete evidence, not only China but also Vietnam may feel discouraged from taking that path for fear of being disadvantaged. Third, the dispute is made ever more intractable by the nine-dotted line that China has been using to assert its claims, the meaning and legal basis of which China has never clarified. China’s above-mentioned Note Verbale added some light to China’s claims and the meaning of the line but failed to completely make it clear. The Note Verbale asserted that China not only had ‘sovereignty over the islands in the SCS and the adjacent waters’ but also enjoyed ‘sovereign rights and jurisdiction over the relevant waters’. The terms ‘adjacent waters’ and ‘relevant waters’ are ambiguous, leaving one to wonder whether these waters correspond to those defined under the UNCLOS or whether they refer to the entire water column enclosed by the nine-dotted line. As the nine-dotted line cuts deep into Vietnam’s EEZ and continental shelf, the ambiguity around its meaning makes it difficult to define clearly the disputed areas and further strains efforts to manage and settle the disputes. Due to the disputes’ intractability, various incidents in the SCS have made bilateral relations ‘warm outside but cold inside’. The most recent notable ones include thecutting of a Vietnamese seismic survey ship’s cable by Chinese maritime surveillance vessels within Vietnam’s EEZ in May 2011, China’s offering of nine blocks within Vietnam’s EEZ to international bidders in June 2012, and the firing on a Vietnamese trawler by a Chinese patrol ship near the Paracels in March 2013. Incidents like these have generated incessant tensions between the two countries. In Vietnam, following the cable cutting incident, anti-China demonstrations broke out, and Vietnamese leaders have spoken strongly against China’s aggression. In China, for example, following the firing incident in March 2013, the Global Times ran an op-edstating that ‘the Philippines and Vietnam would face more troubles if they choose to seek fierce confrontation with China’. One useful way to see how constant the SCS disputes present themselves as an irritant to bilateral relations is to look at statements issued by the Vietnamese Ministry of Foreign Affairs (MOFA) spokesperson. For example, in 2012, bilateral disputes, such as China’s unilateral fishing moratorium, featured prominently in 20 out of 49 press releases and statements of the MOFA spokesperson throughout the year. If the frequency of the mention of SCS disputes in MOFA statements is used as a barometer for Vietnam-China relations, then these disputes are the most important factor shaping the mood for the relations; and that mood, at least over the last five years, has been going from bad to worse. So, if not carefully managed and eventually resolved, the disputes will continue to put the substantive cooperative ties between the two countries in other fields at great risk. Le Hong Hiep is a lecturer at the Faculty of International Relations, Vietnam National University, Ho Chi Minh City, and is a PhD candidate at the University of New South Wales, Australian Defence Force Academy, Canberra. A longer version of the article was first published here by the Institute of Southeast Asian Studies. Dear Zeng-jian, you can contact me at lehonghiep@gmail.com. Cheers! Next Next post: Học giả quốc tế thay Việt Nam lên tiếng về biển Đông?